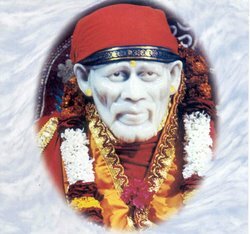 This is an interview taken of Rajiv Talim,Grand Son of B.V.Talim, who is Sculpture of Sai Baba statue now in Shirdi, where millions take darshan of Sai Baba. 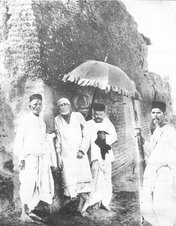 The interview is conducted on the place where the idol was carved out. 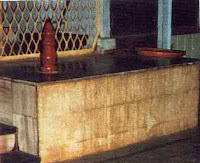 Mr. Rajiv in the interview, tells since it was difficult to get the idea of the physical characteristic of the face of Sai Baba from the original pictures of Sai Baba available, he had some doubts about the appearance of the face of the murti (idol). 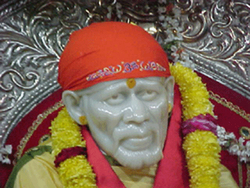 So he prayed to Sai Baba to help him regarding how the face should look. 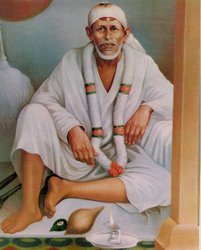 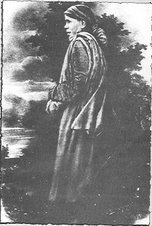 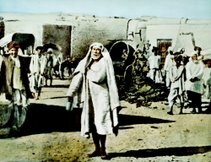 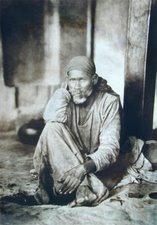 In various books it is stated that Sai Baba had appeared in the dream of B. V. Talim (that's what i wrote in Some physical outlook of Sai Baba) .However in this interview the grandson of B. V. Talim, says that Sai Baba appeared in the form of light, one morning, and the he could see the divine face of Sai Baba and accordingly with Sai Baba's grace and help, the face was sculptured. 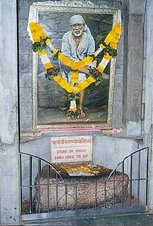 The interview is taken on the place where Sai Baba's idol was carved out and Sai Baba showed his face in the form of light.